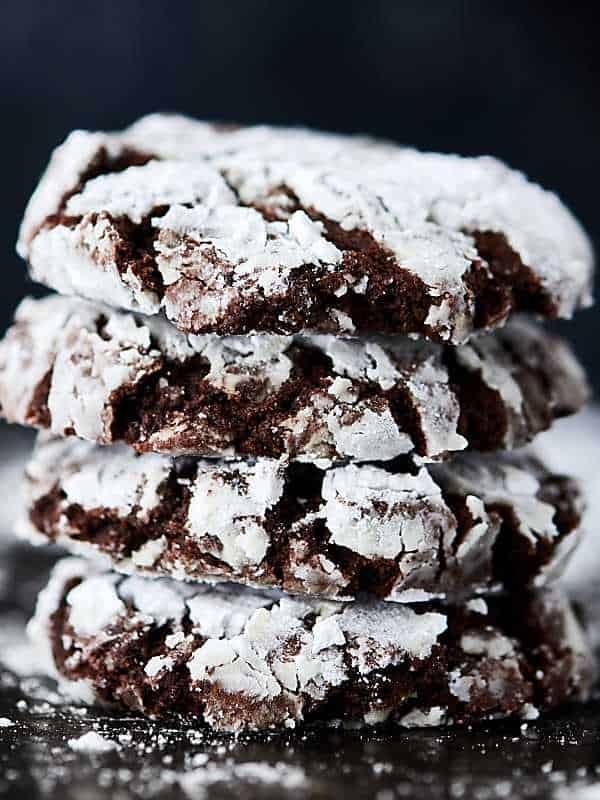 These Chocolate Crinkle Cookies are basically double chocolate cookies rolled in powdered sugar. What’s not to love?! Easy. Fudge-y. Delicious! No chilling the dough! Are you guys ready for another cookie recipe?! The first time I tested this recipe, I texted a picture to my sister, Megan, and asked her if she used to like these cookies growing up. While I can’t actually send her any of these chocolate crinkle cookies (sorry, I ate them all already 😉 ), I CAN dedicate this post to her. 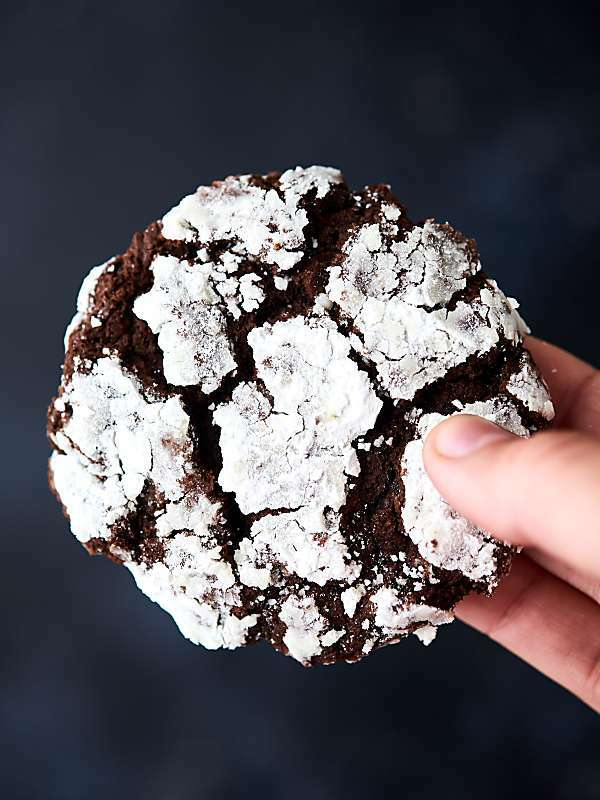 If you’ve never had a chocolate crinkle cookie, well, we’re going to change that today, because you’ve SERIOUSLY been missing out. 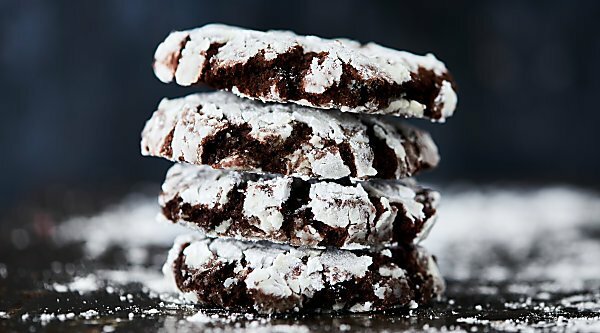 Chocolate crinkle cookies are basically double chocolate cookies that have been rolled in powdered sugar . . .
they’re also know as . 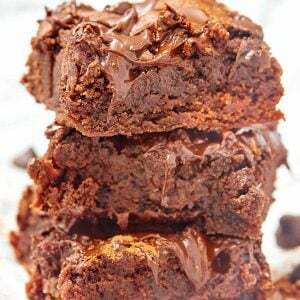 . .
They’re fudge-y, chocolate-y, rich, and yep, you guessed it, SO easy to make. Simply cream brown sugar and butter together using your stand (or hand) mixer. Side note: since we’re traveling, I’ve been LOVING this hand mixer for baking recipes. 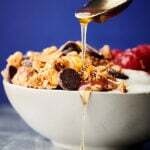 Then you’ll mix in some vanilla extract and an egg. Next, you’ll mix in flour, cocoa powder, baking soda, and salt until it’s well combined. Lastly, add in some semi-sweet mini chocolate chips. I like using those, so you get chocolate in every.single.bite. Now all that’s left to do is bake! The posted recipe makes 16 large cookies . . . I say make a couple batches, so you can save one batch for you and give one away to a friend (or sister 😉 ). What’s YOUR favorite holiday cookie? Show Me the Yummy! 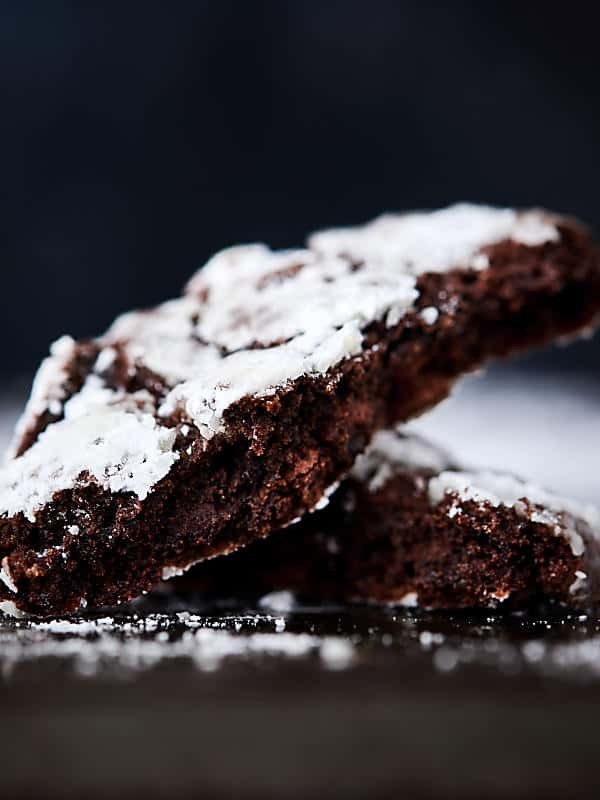 These Chocolate Crinkle Cookies are basically double chocolate cookies rolled in powdered sugar. What's not to love?! Easy. Fudge-y. Delicious! Cream together butter and sugar until fluffy, about 1-2 minutes. 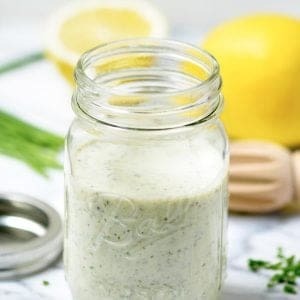 Add in vanilla and egg and mix until just combined, about 30 seconds. Add in flour, cocoa powder, baking soda, and salt. Beat until combined. Use a 1.5 oz cookie scoop to scoop the dough into uniform balls. Dunk each in powdered sugar (make sure it’s fully coated). Bake 8 at a time (these do spread a bit) in preheated oven for about 9-11 minutes. Cool for 2 minutes before transferring onto a cooling rack. Trevor likes these at room temperature, but I like these warm either fresh out of the oven or warmed in the microwave! These cookies are so beautiful for the holidays! Just love a crinkle cookie! 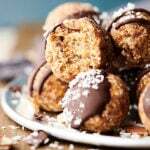 The perfect crinkle cookie can be hard to find but these look absolutely fantastic! Love the additional chocolate chips in this recipe, these sound deliciously decadent! These look absolutely wonderful! You’ve definitely sold me. Mmm I could go for a few of these right about now! Perfect for the holidays! Oooooh baby, come to momma! 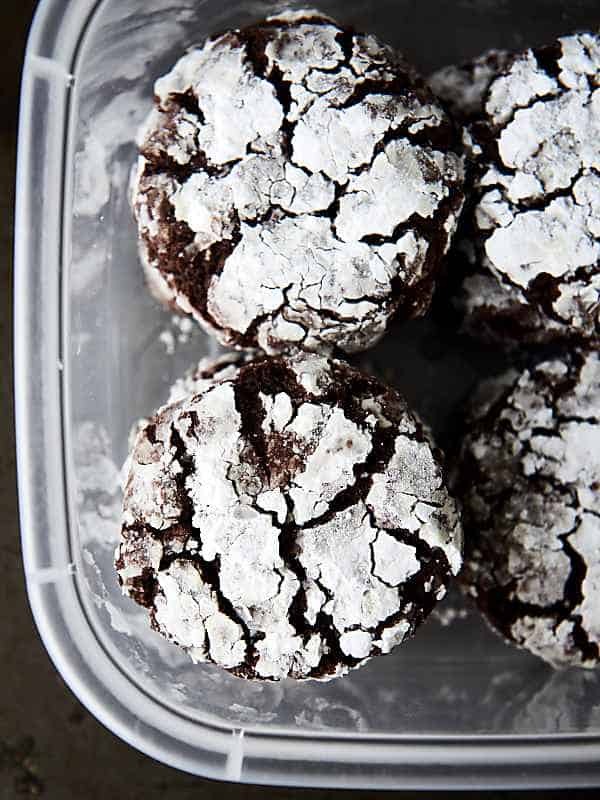 Chocolate Crinkle Cookies have got to be my all-time favorite holiday cookie! 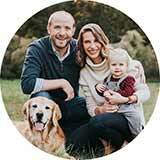 Your photos and recipe look simply amazing!!! I love that your recipe does not have vegetable oil. I did make some changes and added some baking powder, an additional egg, and some more flour because I wanted a more puffy cookie, but these were super yummy. Thank you for sharing. You’re so welcome! Thanks Cynthia! Can you salted butter instead of unsalted butter? They flatten as they cool! Could be a lot of different reasons. Although I never think fluffier cookies are a bad thing. 🙂 Could be too much flour, butter was too cold… maybe your cookie dough mounds were too big? You could maybe flatten them out slightly next time if you’re not using a cookie scoop. You could use a measuring spoon to scoop out 1.5 tablespoons of dough! OMGsh you’re a genius! TOTALLY doing this next year. It’s my favorite cookie! 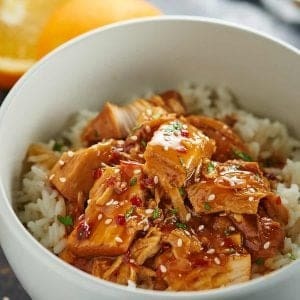 So blessed I found the recipe today and I made it right away! Yummy 😋! Can you do it without powered sugar?? I just want to say, these are fantastic! It was my first time making a crinkle cookie but they turned out great, thank you for a lovely recipe! Turned out great! I chose this recipe because it didn’t require long waiting periods of refrigeration. Would make again. These are SO good!! I left out the chips since I didn’t have any, but honestly didn’t miss them at all. They’re like the perfect, soft brownie in cookie form. Absolutely delicious!